Mitchell Starc, Josh Hazlewood, Steve Smith, David Warner and Shaun Marsh are all automatic picks for Australia in ODIs when available but none will be on the park when this crucial five-match series starts in India. The tour starts 12 days from now with the first of two T20Is followed by what will be Australia’s second-last ODI series before the World Cup, with their final series to be played against Pakistan in the UAE next month. As they have been for many years now, India are a commanding unit in ODIs, blessed with an incredible top order, a sturdy middle order, quality quicks and the world’s best spin attack. Even if Australia were at full strength, India would still be heavy favourites in their home conditions. India have won 18 of their last 20 ODI series at home, with their only losses in that time being to South Africa in 2015 and Pakistan in 2012. Australia are fresh from a 2-1 loss to India in a home ODI series and the last time they toured India, some 18 months ago, they were hammered 4-1 despite missing only Starc from their best XI in that series. This all sounds rather depressing, doesn’t it? Particularly given that, with only about a dozen matches left before the World Cup, Australia are in need of building momentum. On the plus side for Australia, a series this tough should help them separate the wheat from the chaff in the lead up to that tournament. The Australian players will face no greater challenges in the World Cup than those to be levelled at them in India. Playing India in India remains the fiercest task in all three formats. The Aussies who are able to thrive in these circumstances can then be backed to handle the pressure of the World Cup. Meanwhile, those who wilt can either be cast aside for the tour of the UAE or placed on final notice. 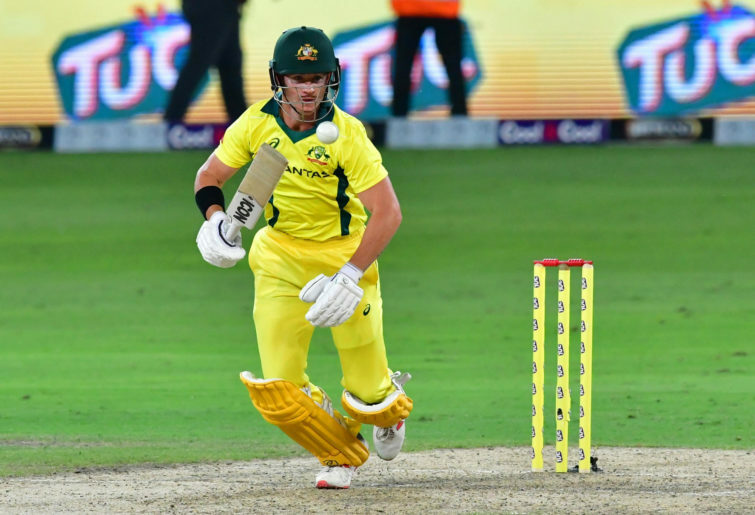 In Australia’s squad for India the likes of Ashton Turner, Jason Behrendorff, D’Arcy Short and Jhye Richardson are ODI greenhorns who should learn a huge amount from this series. Turner will be making his ODI debut if he gets a game, while quick Behrendorff (two ODIs), batsman Short (four) and swing bowler Richardson (seven) are still trying to establish themselves at international level. Richardson, Short and Behrendorff have earnt their spots with impressive performances in domestic 50-over cricket, but Turner is a speculative pick. The 26-year-old batsman from Western Australia made a great start to his List A career before stagnating in one-day cricket, having scored just a single half-century in the past four years. Turner instead has been picked on the back of his good T20 form, having made 630 runs at 31 over the past two Big Bash League seasons. He is also a good fieldsman and a handy off spinner, although he rarely bowls these days after entering the domestic system as a bowling all-rounder. Australia’s ODI performances have been so rank over the past two years that any of these aforementioned rookies could easily seal a World Cup spot by shining in India. Then there’s a host of fringe players, guys who have featured in a number of ODI series yet have never nailed down a spot in the Aussie side. These include spinners Nathan Lyon and Adam Zampa, quicks Kane Richardson and Nathan Coulter-Nile, and batsmen Peter Handscomb and Usman Khawaja. All of those six players will be playing for World Cup spots in India. The only members of Australia’s squad to tour India who are assured or are at least very likely to feature in that tournament are ODI captain Aaron Finch, wicketkeeper Alex Carey, veteran batsman Shaun Marsh, express quick Pat Cummins and dynamic all-rounders Glenn Maxwell and Marcus Stoinis. That leaves a hell of a lot of World Cup positions up for grabs in India and the UAE. The Aussie bowlers will face the fearful task of bowling to probably the greatest top order ODIs have ever seen in Rohit Sharma, Shikhar Dhawan and Virat Kohli. The visiting batsmen will face the world’s best ODI quick Jasprit Bumrah and the befuddling spin combo of Kuldeep Yadav and Yuzvendra Chahal. ODI cricket does not get tougher. It could turn out to be just the trial by fire Australia need in the lead up to the World Cup. Or it could be a dumpster fire of a tour which leaves them in a mess just months out from defending that trophy.